some were saved to my hard disc (lucky)and i actually brought it along with me from Mel to Perth! Man Ray (1890-1976)was a Modernist artist best known for his photography. He played a main role in the Dada and Surrealist movements. 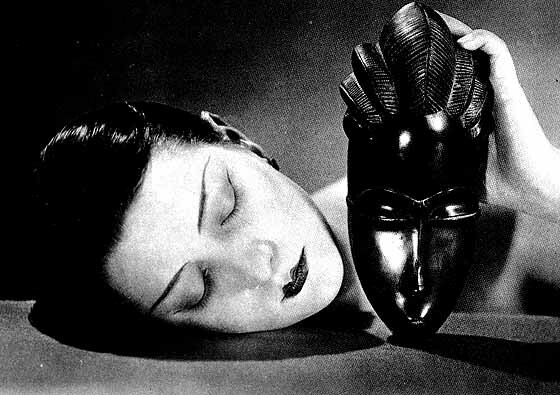 "The same sleep and the same dream, the same mysterious magic seem to unite across time and space these two female masks with closed eyes: one of which was created at some point in time by an African sculptor in black ebony, the other, no less perfect, made up yesterday in Paris." please stay tuned for more if you have been liking what i posted!